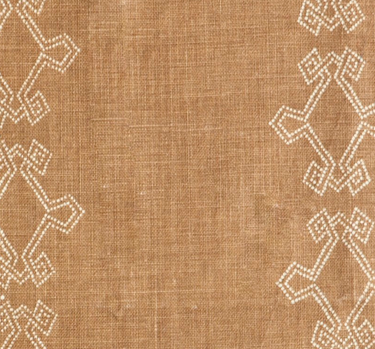 Less than a week remains to catch Weaving Abstraction: Kuba Textiles and the Woven Art of Central Africa. The Textile Museum exhibition closes Sunday, February 12. This show has focused on the artistic ingenuity behind Kuba design, and, as the exhibition title clearly spells out, it's been all about the woven goods: basketry, headdresses, tribute cloths, and ceremonial dance skirts. With their graphic punch, these African designs influenced the revolutionaries painting in Paris during the early 20th century (icons to be celebrated in The Steins Collect: Matisse, Picasso, and the Parisian Avant-Garde, on view at the Met February 28 through June 3). But today my mind is on a contemporary textile designer influenced by African traditions, specifically resist-dye and tie-dye fabrics (click here to see the ne plus ultra of tie-dye, at least my concept of it). 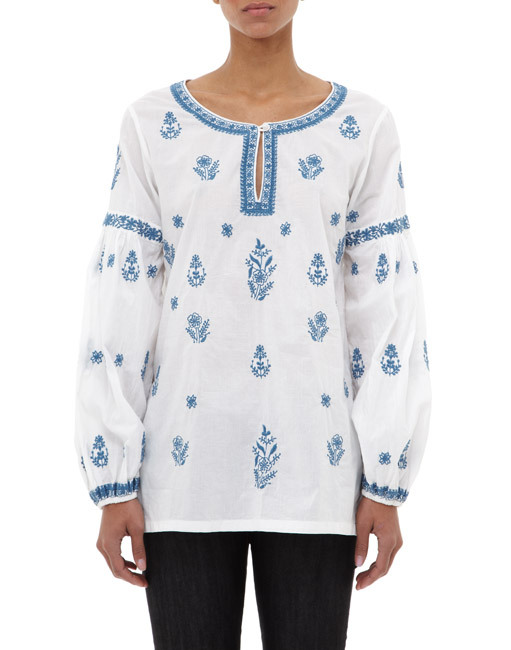 Lisa Fine -- who, coincidentally, is a Mississippi-born Parisian -- designed the new linen shown here, Aswan. It's a large-scale stripe composed of complex intertwined forms. The stripes bring a certain rhythm to the livelier components and, notes Lisa, give the pattern more versatility. 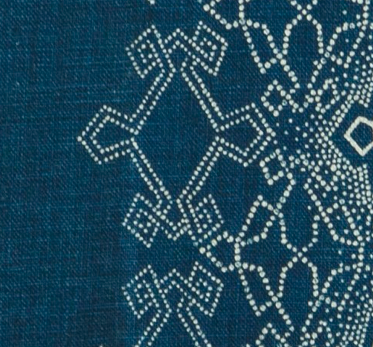 For me, the intricate dots that make up the geometrics are reminiscent of African beadwork. 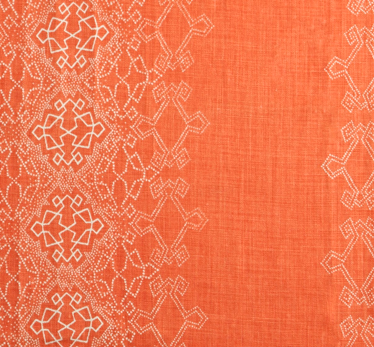 When I asked her about the fresh print, Lisa explained that, in addition to the classic African influences, Aswan represents a decision to go with her gut and embrace the bold pinks and oranges she's long adored: Passion and Clementine are two available options. Ink Indigo might remind some textile connoisseurs of the wonderful deep-blue, indigo-dyed African cloths from Cameroon. And there's a mellow alternative, Tobacco. BTW, Lisa's fabrics are available at Hollywood at Home and through trade showrooms. Her globe-trotter-chic clothes, designed in collaboration with Carolina Irving, are now sold through their online retail shop, Irving & Fine. For the backstory on another of her terrific prints, Pandora, click here. absolutely gorgeous! thanks for the lesson! Note to self - get to the Met for the Steins Collect exhibit! Thank you!